Dana Love's Vanilla Pop by Dana Cologne Mist Spray for Women Just $5.95! Down From $40.00! You are here: Home / Great Deals / Dana Love’s Vanilla Pop by Dana Cologne Mist Spray for Women Just $5.95! Down From $40.00! 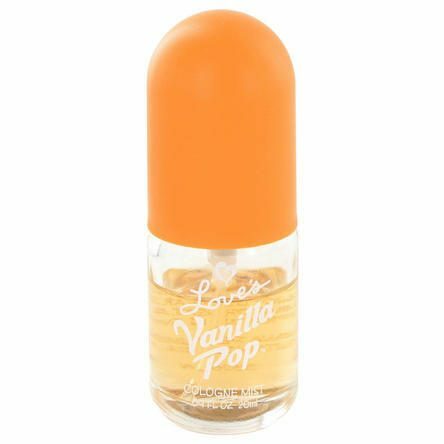 Dana Love’s Vanilla Pop by Dana Cologne Mist Spray for Women Just $5.95! Down From $40.00! Sears has this Dana Love’s Vanilla Pop by Dana Cologne Mist Spray for Women on sale for $5.95 (Reg. $40.00)! A gourmand musky fragrance for women who love the smell of sweet delights, the floral heart takes a supporting role to sweet rich vanilla . Soft accords of musk are barley there yet enhance the richness and longetivity of this confectionary scent. Comforting and enticing, dare to wear!